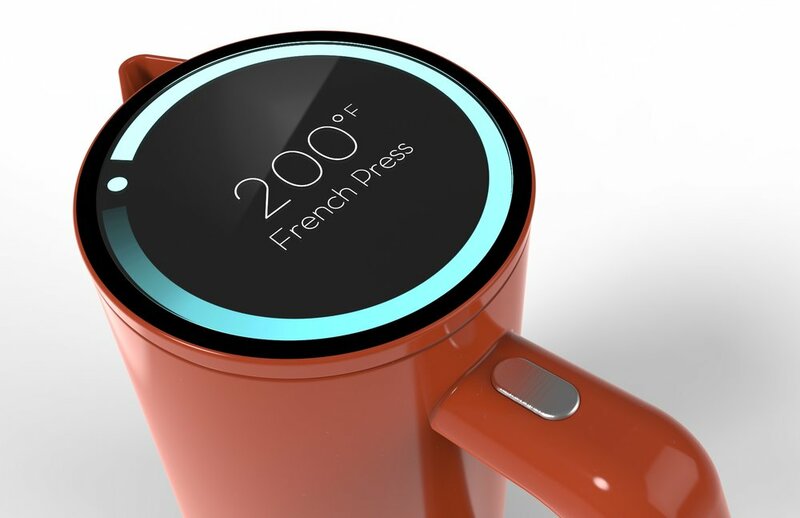 Revolve is a redesign of the traditional temperature control for electric tea kettles. Revolve uses an intuitive turning motion to select water temperature. Why is such a simple task so frustrating? Current controls for electric tea kettles are frustrating. The limited presets on some electric tea kettles allow for little customization. The only alternative is selecting the temperature with up and down arrows, one degree at a time. Neither option is simple or efficient. Turn tea kettle on. Select temperature. Press start. Keep Warm. 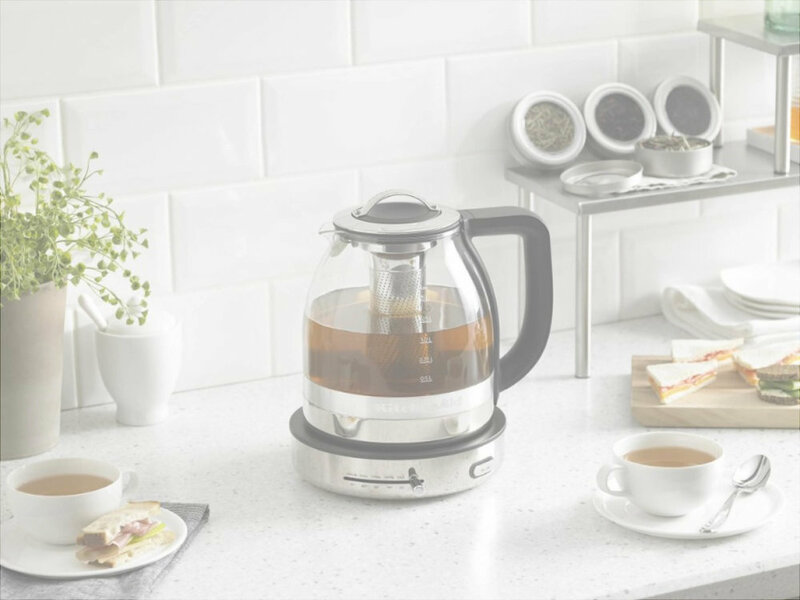 Current available electric tea kettles are designed to simply perform one task, and the experience while using the kettle is not considered. For people who enjoy making multiple types of teas and coffee, temperature selection is important. A white tea and a French press must be brewed at different temperatures for proper results. The temperature selection was a major pain point. I was inspired by the twisting motion of a knob on a stove. I explored a variety of turning motions: twisting a knob control, turning the entire kettle, turning a part of the handle, and turning the top of the kettle. For the display, it needed to convey the temperature in a clear way. Revolve is a redesigned temperature selection. The entire top of the kettle is a digital interface that functions as the temperature control. Simply press down the dial to start, turn to selected temperature, and release to start. The kettle automatically will keep the water warm for 15 minutes. The temperature ranges from 100-212 degrees Fahrenheit to allow for more focus temperature selection. As the dial is turned to select the temperature, common beverage presets will display under the temperature. Presets such as White Tea, Green Tea, Rooibos Tea, French Press, and Boil will display under the temperature. The dial can be turned either way, just like a stove knob.